Celebrated on the third Monday in February, President’s day is just around the corner. Whether you’re selling goods or services, here at Instant Email Copy, we’ve come up with the most effective email marketing strategies you can use to clear out inventory, boost website traffic and increase sales around this often overlooked federal holiday. Every year we are prompted to reflect on the immense impact our presidents have had on our culture and society. These pioneers were strategic thinkers, and a lot comes down to: How can we as marketers up our game with these public figures in mind? Whether you’re a business owner or marketer, you can learn from the traits of America’s leaders and use them as influences for their email campaigns this President’s day. Strategize like Washington – As George Washington thought strategically to implement his US military campaigns, so should we marketers be with our email campaigns. Maintain an open mind like Jefferson – Thomas Jefferson was known for his open-minded ideas. Marketers too need to read, learn and listen as much as possible to trends, both positive and negative and adjust email campaigns accordingly. Incorporate trends like new social media features into your campaigns, this could include using GIFs and video to keep subscribers engaged. Try A/B testing, take risks like Teddy Roosevelt – Theodore Roosevelt was known for being a risk-taker. Try to think outside the box and explore new email content that can help you reach new potential subscribers. Each of these listed above is essential email marketing lessons to be learned from our presidents. 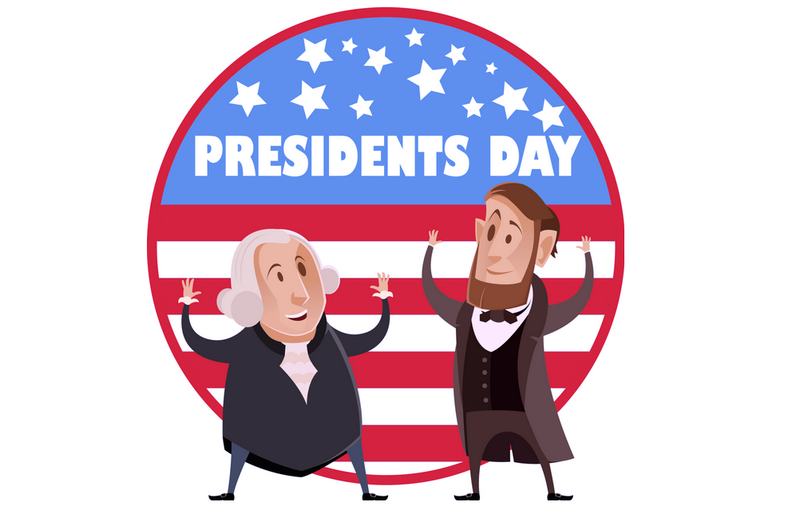 At our company, we recognized the most successful campaigns that generated the most clicks and brought in high revenue from President’s Day last year were the campaigns that had pre-teaser sales, BOGO (Buy one, get one free, half price, etc.) and sitewide offers. Justuno targeting accounted for more than 50% of the total revenue one of our clients had brought in during President’s day last year. 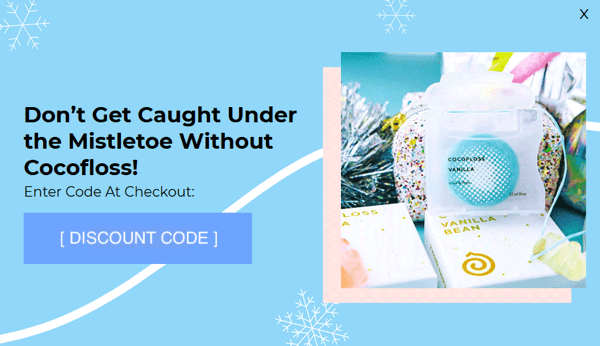 Associated with these promotions many e-retailers use this holiday to clear out their winter inventory and connect in fun ways to their customer base. Below are some tried-and-true ways you can get the most out of this underutilized holiday. This goes for any holiday – before you do anything, have a list of limited time offers you can pull from so that you have almost a ready-made campaign. Discounts work well around the holidays, and consumers will be expecting them. It’s super important because your competitors will likely be taking advantage of the holidays as well. You need a substantial offer just to keep from falling behind, never mind standing out from the crowd. Even if you can’t host a massive President’s day sale, consider offering free shipping on orders over a certain amount, or including a little extra gift with purchase. Even a little foresight can mean additional sales for your business. 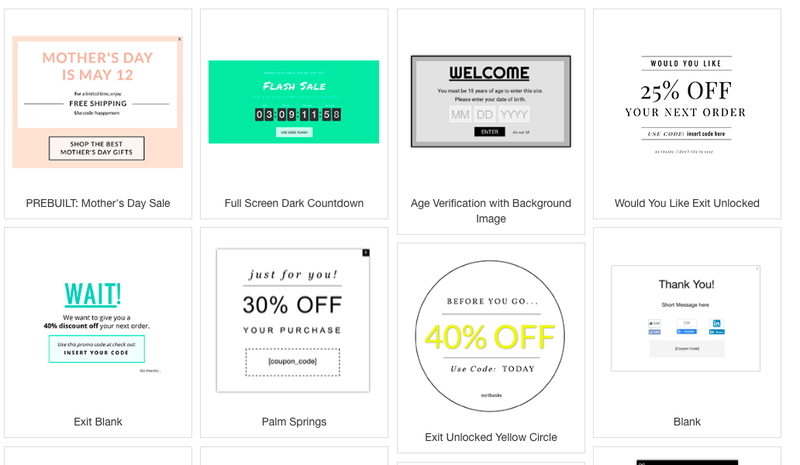 This is where Justuno pop-ups come in and a website banner can be super useful if set up during limited time offers. Having a bold design including a timer will surely get your customers to your checkout page knowing the limited offer isn’t around forever. It’s still cold enough that people won’t hesitate to spend money on fall/winter goods, but act fast: The minute March gets here, everyone will be scrambling for the hot new spring products on the market. Use President’s Day to offer some serious deals on the stock you want to clear out; it may be the last chance you have to get rid of them out before everyone starts thinking about spring. 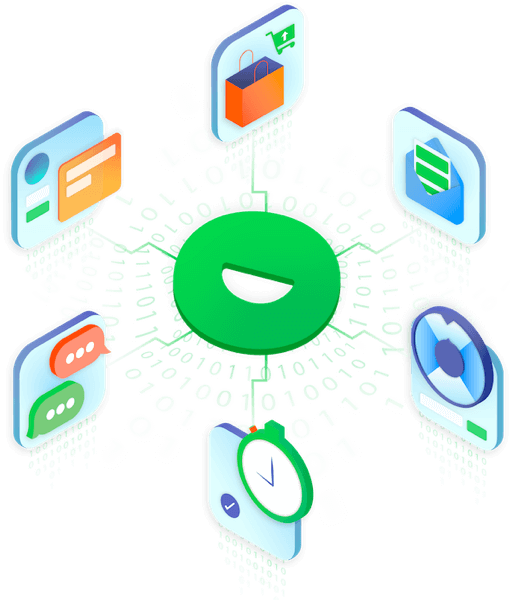 Email 3: Send a “reminder sale is finishing soon” – having a countdown timer would be super effective, and we have seen great results from using this on Justuno. Email 4: Send a “last chance” – we suggest perhaps 6 hours or 3 hours before the sale ends. For new site visitors, if you are driving traffic to your site via PPC – ensure you capture leads and have them enter their email before seeing the code. 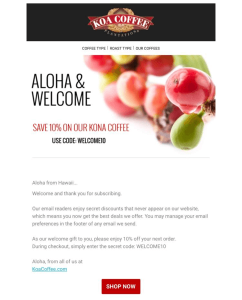 If they don’t enter email, still show them the website banner with the offer code. For your subscriber list, make it easy to convert for them. For example, have a website banner ready to go and set up for them. Lastly, have an exit offer popup on the cart or checkout page and offer an extra perk for those who might need a little push, or just remind them of the deadline on the offer. This creates an urgency to purchase, and you will see a higher result for getting those ‘potential’ customers over the line. The best way to get people to bite on your offer is by making people remember it. That means you need to do a little more groundwork than just pushing out a holiday discount. Build supporting campaign material around the offer, and push this material out through email campaigns, your website, and social media. You could use exciting facts about US presidents, something related to president pop culture, for example. Throughout the holiday season, we saw more brands experimenting with emojis and animations including countdown timers. President’s day is perfect to try out these attention-getters. Another smart idea is incorporating President’s day concepts into your offer codes. Some we found: America, 4Pres, MrPresident, PRES20, and HBDAYPREZ. Here’s the great news: many of the motifs that work for President’s day can be repurposed for future Memorial Day and July Fourth campaigns. Favorite topics include a red-white-blue theme, stars, realistic and stylized flag graphics and portraits of Washington, Lincoln and occasionally other people. We’re also beginning to see more use of emojis like flags, stars and dollar bills in subject lines along with original animations in the message. One design tip: Red type on a blue background without a white outline is hard to read on both desktop and mobile. Take a few design risks to make your content stand out and drive more significant interest in your offers. And a subject-line tip: As with other holidays, retailers fall back on clichés for subject lines. The only problem is that every other email is using the same old tried-and-true “President’s day sale starts now!” Consider A/B testing a standard-issue subject line for something more eye-catching. Social is, as always, one of the best ways to promote your special offers. For an event like a holiday – especially an often ignored holiday like President’s day – try to make people more aware of the upcoming holiday rather than just focusing on your offer. For example, make up a presidential trivia to use on your Instagram story or Twitter; get a hashtag trending such as #betterhistory. The goal is to get people to your website or to keep coming back to your social media so that when President’s day specials start rolling out, you’re at the top of their minds associated with the holiday. Stand out on social media, and don’t let your customers forget that you’re offering them some great deals. Setting up eye-catching remarketing campaigns to remind your customers of what they’re missing out on. Create high-quality email marketing campaigns that could be linked to your current PPC campaigns and catch the attention of new potential customers. Target abandoned carts, so people don’t forget that they’re super close to getting the goods they want. 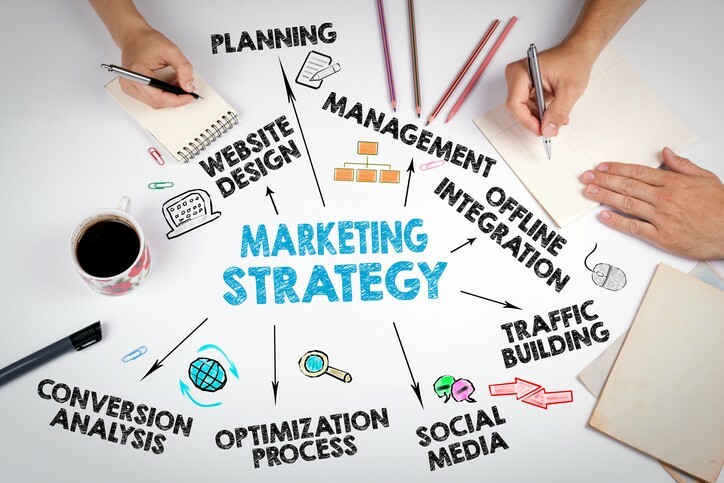 To sum up, here are some marketing tips and promotion ideas that will help you refine your efforts to increase sales during the most profitable time of the year. Offer exclusive deals (with high ROI’s). Don’t just sell products — sell your brand. Focus on tactics that work (based on analytics). Justuno & email re-marketing strategies tend to have huge returns. Amaze your customers and make them remember your brand. President’s day is a great time to connect with your customers, community, and country. Don’t let the opportunity slip away – get creative! Instant Email Copy is a small team of customer lifecycle email experts who have helped both small and large businesses dramatically grow their revenue with email outreach and marketing. We’re passionate about helping support small businesses with the same strategies and tools that enterprises use. Regardless of your current company size, we believe you deserve email marketing success. If you would like to know a bit more about us head to our website. 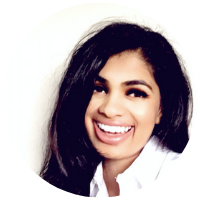 This article was written by Nikisha Patel, an Email Marketing Strategist at Instant Email Copy, a Justuno Agency Partner. Not a Justuno customer? Click below to start your free trial of the most innovative on-site visitor conversion suite available!